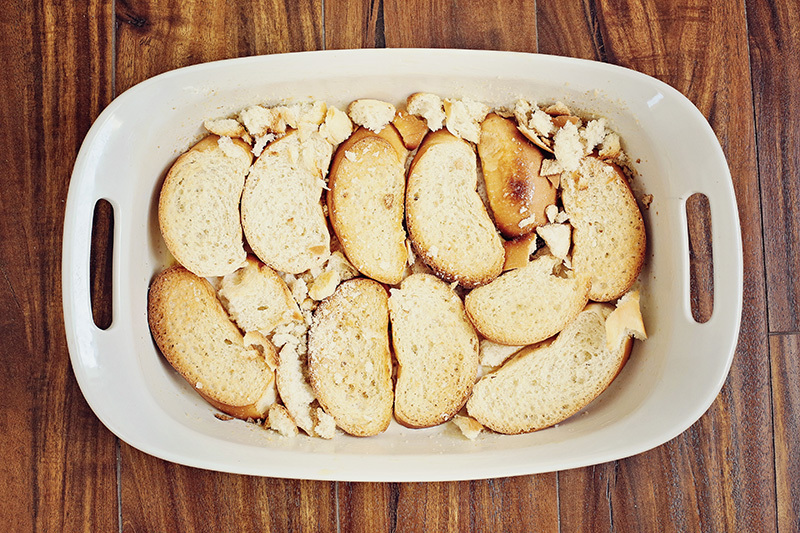 Paying tribute to my grandmother by sharing her recipe for capirotada, a Mexican bread pudding. My beautiful Grandma with her signature pearls. A few days later, Grandma came home from the store with a couple of loaves of inexpensive sliced white sandwich bread, a 5-pound bag of shredded Monterey Jack cheese, a bag of brown sugar, shelled peanuts and a box of golden raisins. That Sunday, as she leaned up against the counter for support, she walked me through how to make her Mexican bread pudding, a family favorite for as long as I can remember. “What does the onion do, Grams?” I ask as I placed half a large onion into the pot with the sugar and spices. My grandmother didn't attend school as she had to work to help support her family. She also wasn’t able to spend much time in the kitchen learning from her grandmother or parents how to cook. 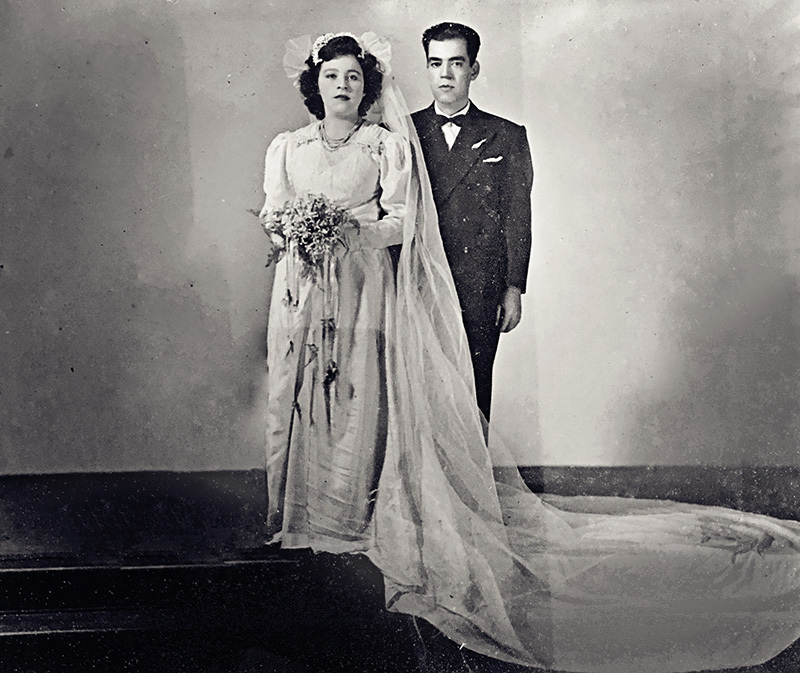 She married my grandfather at the age of 17 and they lived with his family. I remember her telling me that the women there reluctantly taught her to cook some dishes. The rest she taught herself, experimenting until she could recreate the food from her childhood. “Yes, yes, it's good.” I continued layering the bread, alternating it with the cheese and ladlefuls of syrup. “Push it down, mija, so there’s no white.” She meant the white bread. She wanted it completely saturated. So I continued until she was satisfied. The familiar brown 4 quart Cinderella Pyrex bowl was filled to the brim with the bread pudding. I lifted the hefty bowl while my grandmother opened the oven for me to place our pudding in. “Now we wait,” she said as she shuffled to her room, her knees aching from years of hard work. Some days, she spent all morning working in the yard, clearing foliage, chopping down tree limbs, bending and lifting, and moving 10 and 20 gallon potted plants. Other days, it took sheer will to get out of bed, her legs and her messed up shoulder limiting her mobility. Soon, the smell of my childhood was wafting through the house, stirring up memories of holidays past. I made my way to the kitchen where grandma was already bending down to check on the capirotada. One week later, Palm Sunday of this year, after several days of complaining of headaches, dizziness and generally feeling off, she staggered out of her bedroom and yelled out to me that she was feeling very sick. I called 911 and had her rushed to the hospital. A few hours later, tests showed she had suffered a stroke. 17 days after that, she had a second, massive stroke and died a day later. It was a little more than month shy of her 89th birthday. 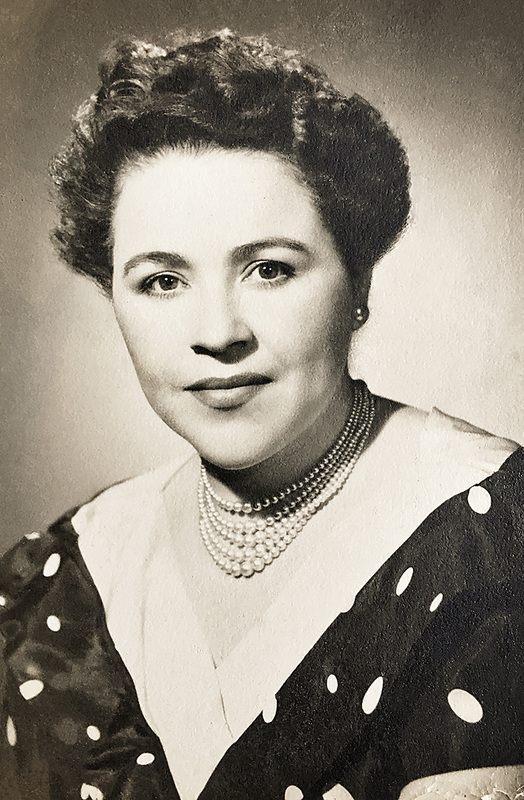 Her name was Luz, which, in Spanish, means “light.” The name is taken from one of the titles for the Virgin Mary, Nuestra Señora de la Luz, meaning “Our Lady of Light.” It’s a fitting name as Grandma, a devout Catholic who was fiercely committed to God and family, was truly the brightest light in our lives. 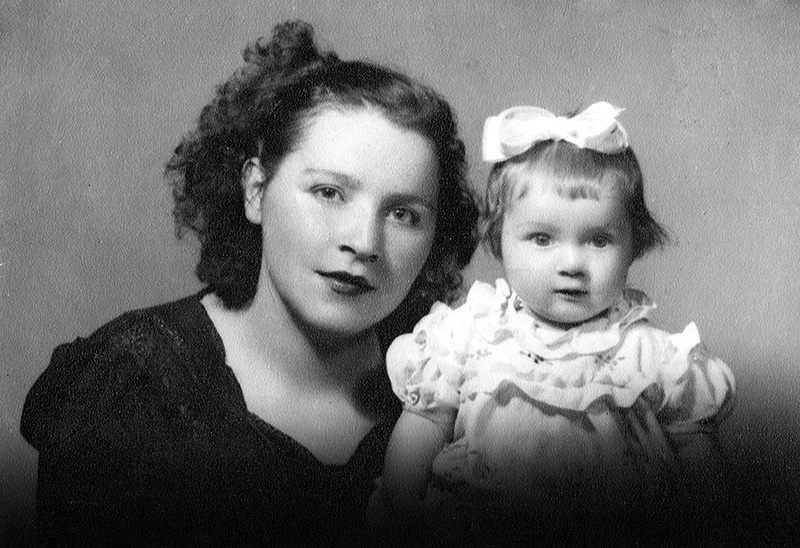 My grandmother immigrated to the United States knowing no English and with a toddler and newborn in tow. She knew no one in San Diego other than my grandfather who had already been living and working here as a baker for some time. Despite these limitations and the fact that she had no formal education, she forged a life steering a growing family with fierce determination and strong faith. My grandmother with my mother. Grandma was 19 when she had my mom, the eldest of her four children. I guess she's about 20 here. She learned English by listening to the radio, by working on word searches and taught herself to read by reading Psychology Today. As a young mother thrust into a strange culture, she told me life was hard, and lonely as she didn't know the language so making friends was difficult. She relied in those early years on the priest from the local church for social interaction. Education was huge for my grandmother. She was determined to have her children get the best they could. She made a little extra money sewing and mending so they could afford private Catholic school. She found full time employment as a seamstress at a major clothing manufacturer here in town, when clothes were still made in San Diego on a large scale. She persuaded my grandfather to buy a house. Then another. And another. Eventually, they’d wind up with four rental properties and a large 2-story Craftsman house that became the family home. 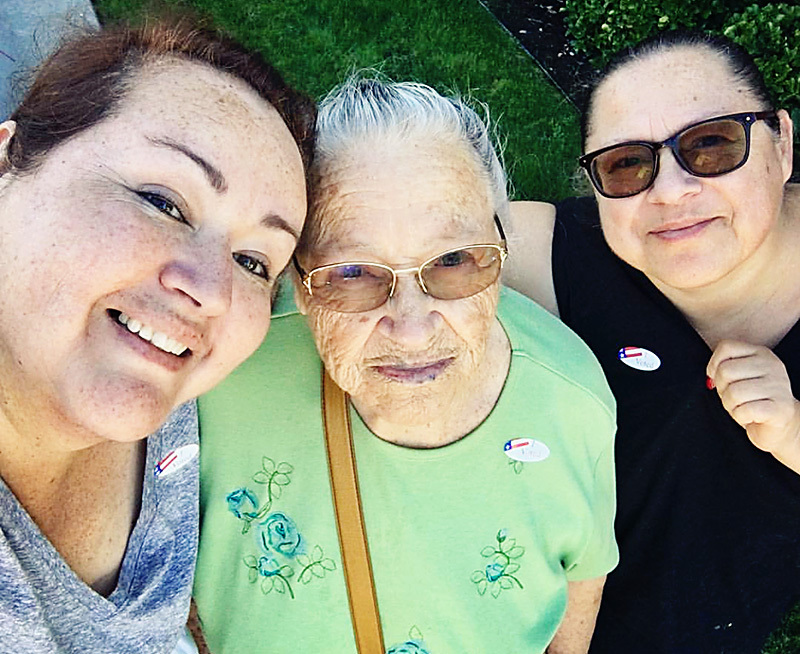 From left to right, me, Grams and auntie after voting in the 2016 election. One of her proudest moments was when she became a U.S. citizen. “That’s when I got my blue eyes,” she would tell me during our morning chats over coffee. She voted in every election. 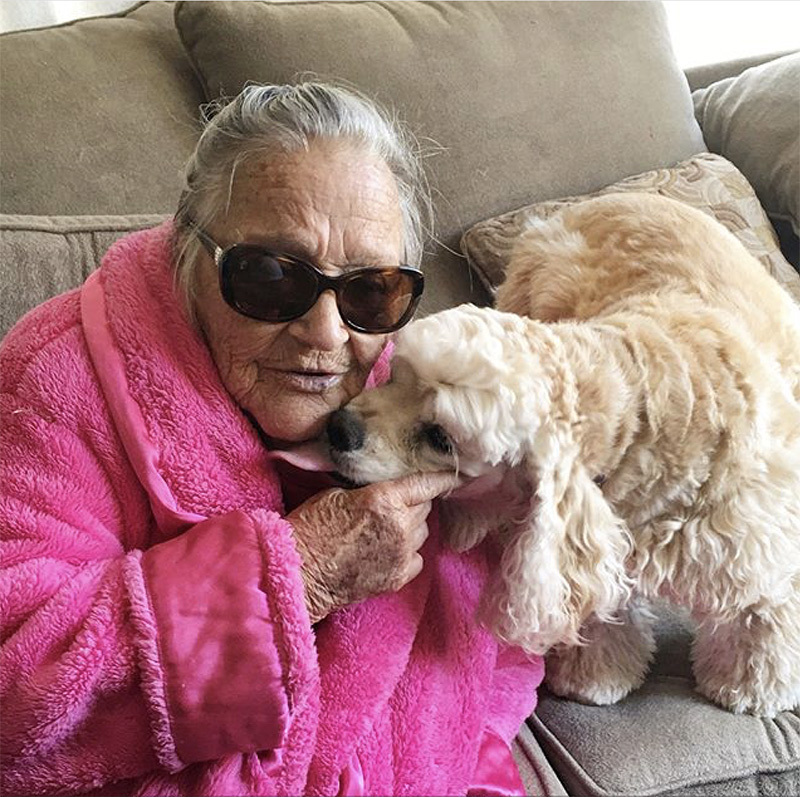 Grandma, a few days after the first stroke, getting a welcome home kiss. This week marks 6 months since her painful passing. I’m so incredibly grateful that I moved in with her and my aunt in 2012. I got to hear stories of her childhood. Stories of her early years here in the States. I got to know her warped, often sarcastic sense of humor. I got to watch her fierce determination to figure things out on her own firsthand. I got to see her laugh, cry, pray on a regular basis. I also got to see her go from being a little fearful of dogs to reluctantly allowing my dog to lick her hand to eventually seeking out kisses on the cheek, hand-feeding Starbuck, inviting her to get up in her bed with her and helping to pick up “her poops” in the yard. 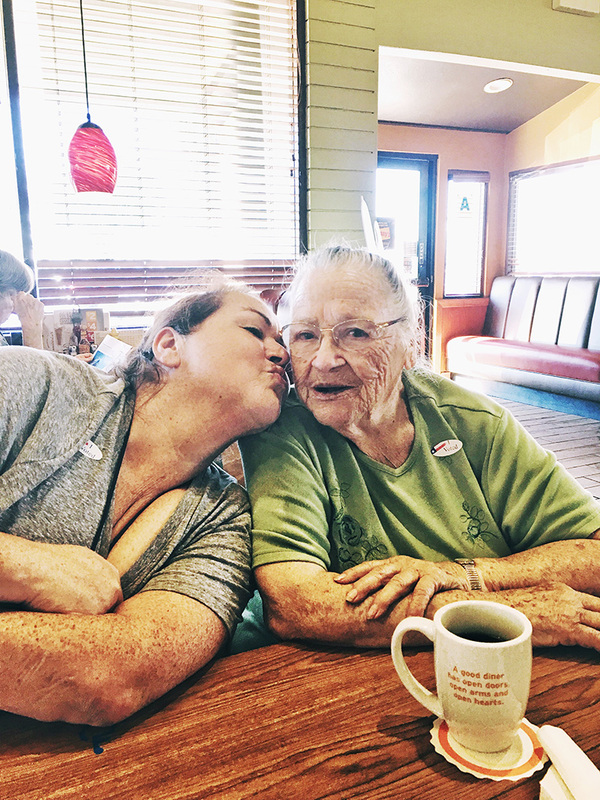 Me and Grams post-voting breakfast. It’s taken a while for us, for me, to come out from the fog enveloping us. I haven't been very inspired to cook, or write, or photograph. That lack of motivation is reflected across all my social channels as most have been rather quiet. It's just that first there was the immediate grief to deal with, then helping my aunt with the arrangements and then us immediately tackling her bedroom to make room for relatives and all the things that come from losing someone who was such a huge presence in your life. It's damn hard. Living here in the home she made, surrounded by her things, no where near finished helping to go through her belongings six months later to see what to keep or donate, plus trying to find a way to integrate my things into this house now that I’ve decided to stay, well, let’s just say, it's filled with sadness and memories and it's all a bit of a zap in motivation for anything else for me and my aunt. I sometimes feel her around me, though. I swear I can hear her giving words of encouragement. Sometimes I even think I see her, there in the corners of my vision. And truth be told, that does give me some comfort. Thank you, Grandma, for giving me, for giving this family, such a sense of purpose. ¡Te quiero mucho! 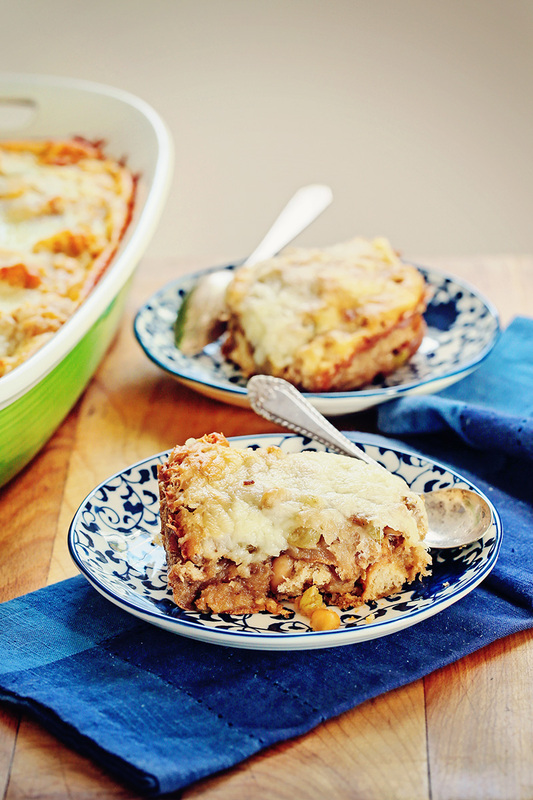 I’ve kept the spirit of my grandmother’s recipe here but made a few adjustments. Firstly, I didn’t use the onion. And where she used ground spices, I used whole to make the simple syrup. I didn’t bundle the spices in cheesecloth or spice bag but you can if you’re afraid of not being able to fish out the cloves before using. I was just extra careful when using the syrup to look for any errant cloves. Also, Grandma usually used about 1 loaf plus 4 slices or so of week old white sandwich bread. I opted for bolillos, which are a Mexican style French bread about 6 inches in length. If you don't have them available, you can use sandwich rolls. When I finally decided I was ready to come back to blogging and make this, I didn’t have the patience or forethought to wait an entire week for the bread to dry out, so I toasted mine. I rather liked how that worked out: the bread was slightly nutty and more primed to absorb the syrup. This also makes less than the 4 quarts of pudding. 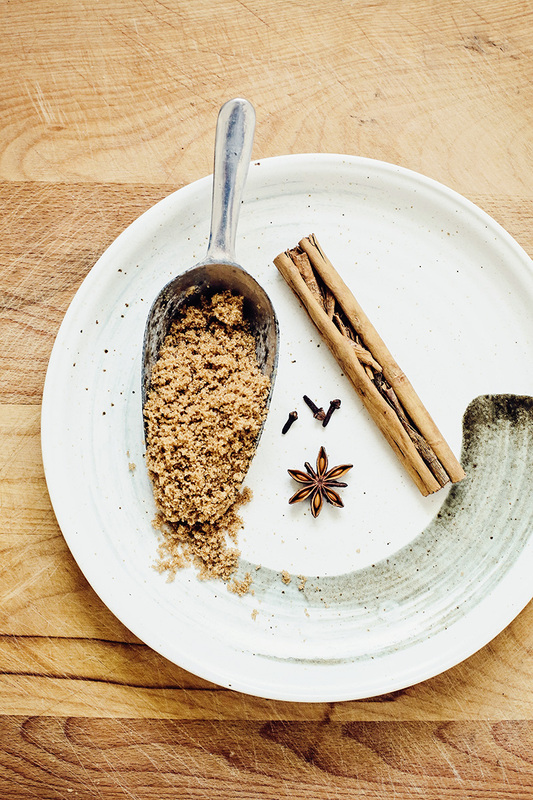 Use any leftover syrup to sweeten and spice up your morning oatmeal or dress up a scoop of vanilla ice cream. Place water, sugar, spices and peanuts in a saucepan. Bring to a boil, lower heat and simmer for 5 minutes. Add the raisins and simmer for another 5 minutes. Take off heat, remove cinnamon, cloves and star anise then allow the syrup to cool slightly. While syrup is simmering, grate the cheese; set aside. Slice the bread. 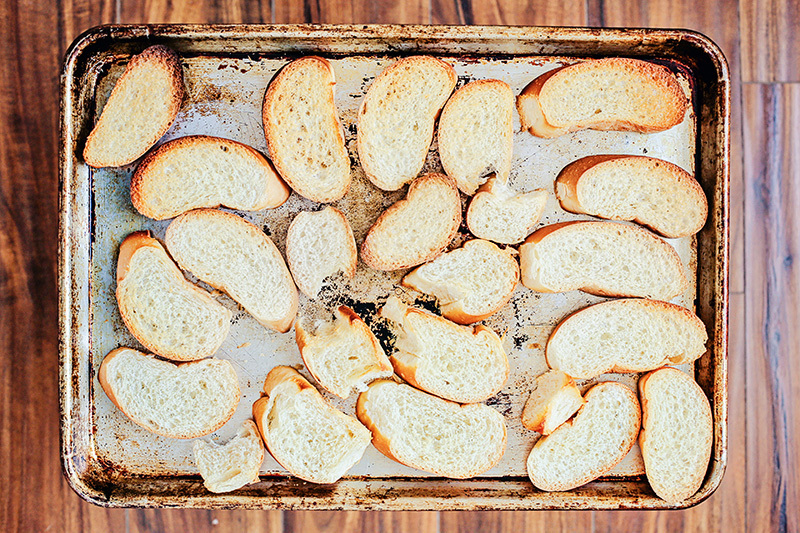 Line two sheet pans with the bread slices and place in the oven to toast for 5 minutes. Remove pans, flip bread, return to oven and toast an additional 5 minutes. Remove and let cool slightly. Lower oven temp to 350 degrees Fahrenheit. 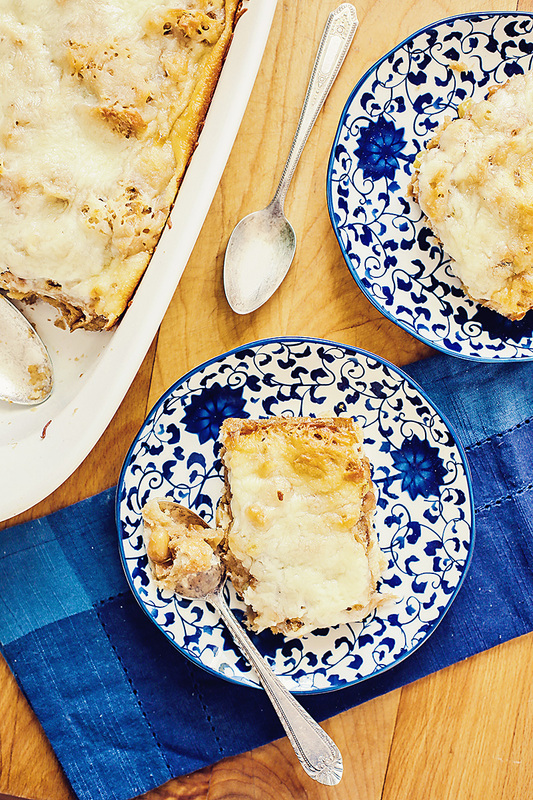 Using a pastry brush, apply melted butter to a 9x13 casserole or lasagne dish. 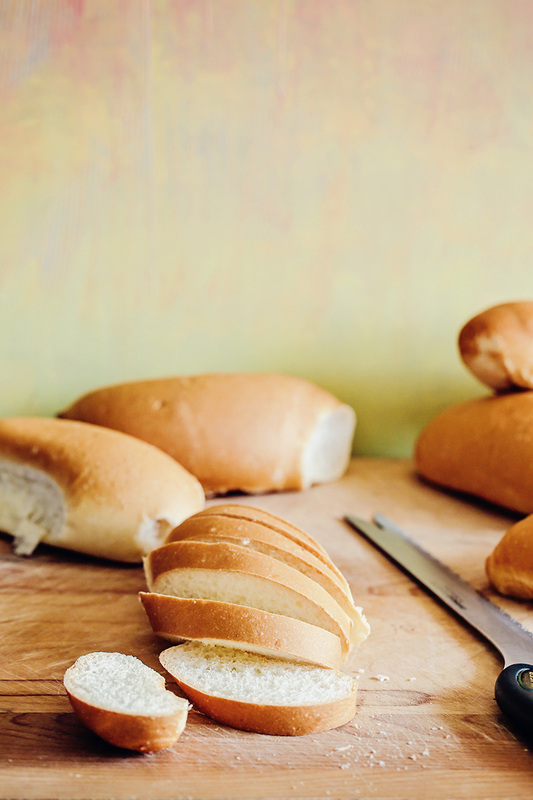 Line the pan with a single layer of bread, breaking bread up to fill the spaces between slices. Spoon on the syrup, making sure to dig down for the raisins and peanuts (also, keep an eye out for a clove you might have missed). Be generous with the syrup, you want the bread saturated. Evenly spread out a layer of cheese. Repeat layering the bread (using a fork to push it down to absorb the liquid), syrup and cheese until the dish is filled to capacity, being sure to end with a generous layer of cheese. Place the pan on the center rack and bake for 25-35 minutes, until the cheese is golden and bubbly. Carefully remove from oven and let set for 15 minutes before serving. Allow to cool completely before storing, tightly covered, in the refrigerator. 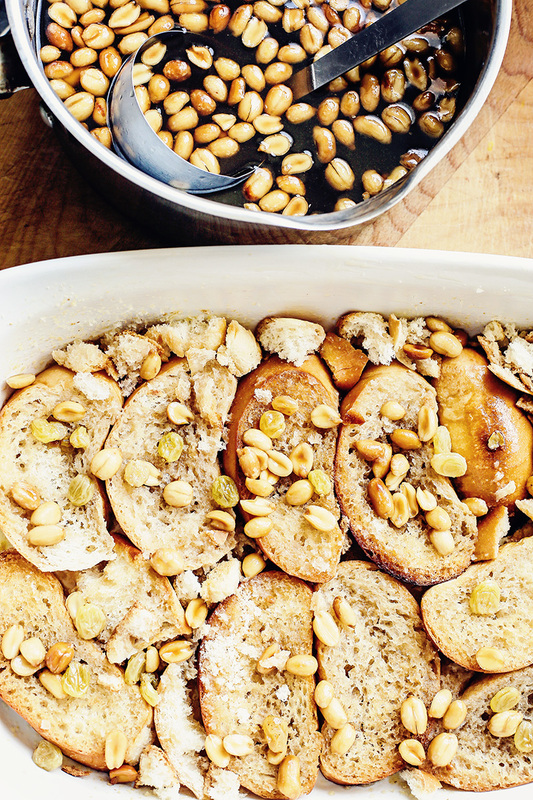 This dessert is excellent the next day as a cold dessert. What a beautiful tribute to your grandmother. I'm so sorry for your loss, and for the sadness you are still feeling. She lived an amazing life and I'm glad to have learned her story and her impact in your life. Hugs, my friend. This is just lovely Ani. Thank you for sharing her with us. @ Family Spice: Thank you, Laura!This was a hard post to do but there is also joy here. Hugs to you, too, friend!